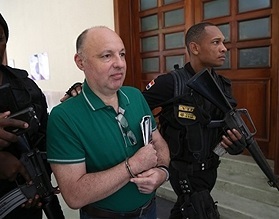 Frenchman Christophe Naudin was sentenced to five years in prison for helping two French pilots involved in the "Air Cocaine" drug-smuggling case to escape justice in the Dominican Republic. Naudin was convicted for helping pilots Pascal Fauret and Bruno Odos flee to France after they were sentenced to 20 years for drug trafficking. 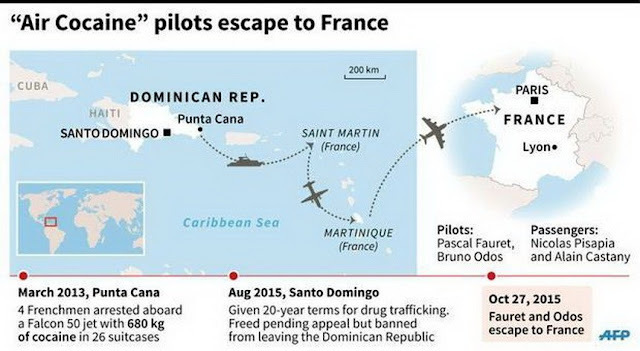 Fauret and Odos were arrested in March 2013 as they were about to depart for France in a private jet found to be carrying 680 kilograms (1,500 pounds) of cocaine. The affair is of keen interest in France, after Interpol issued arrest warrants for Fauret and Odos, as well as a member of the European Parliament accused of involvement. 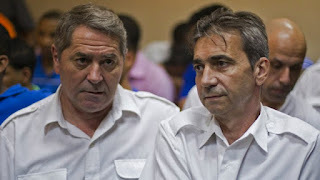 Two other Frenchmen, Nicolas Pisapia and Alain Castany, who were passengers when the cocaine was discovered were sentenced on appeal in 2016 to 20 years in prison.